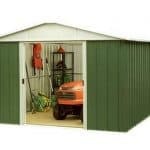 This metal shed comes in preassembled panels. 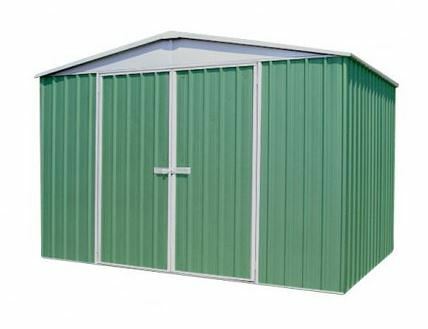 The steel that is used to construct the shed is BlueScope Steel. 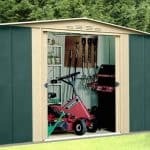 This is some of the toughest steel available, and brings perfect weather-proofing to your shed use. 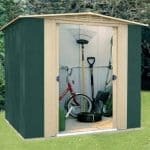 The shed also has particular durability in high winds, which is a key feature. 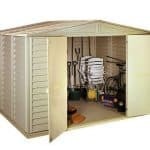 You can expect no worries regarding the shed materials, there is no blistering or cracking expected. 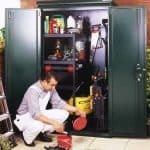 You can also ignore the possibility of damage from insects and pests. 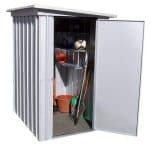 It is a robust building that is designed to keep the contents safe.